These exquisite candle lanterns cast light images and add a cozy atmosphere to your living area. Candle lanterns are favorites among my customers. They glow with the light of a lit candle, casting patterns through the pierced walls onto nearby surfaces. 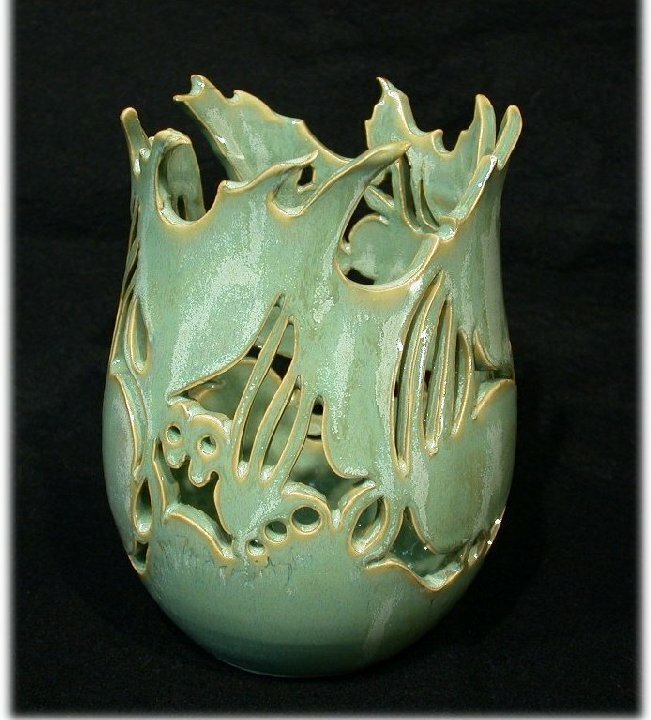 This is my abstract rendering of many tulips in partial bloom winding their way around this hand thrown piece. Made with high fire stoneware, this pottery will give you many years of enjoyment. They one this reminiscent of beautiful tulips blooming around the globe. I suggest a small votive candle holder for easy removal of spent candle wax. Gathering Light is a pierced candle lantern with a sculpted rim. 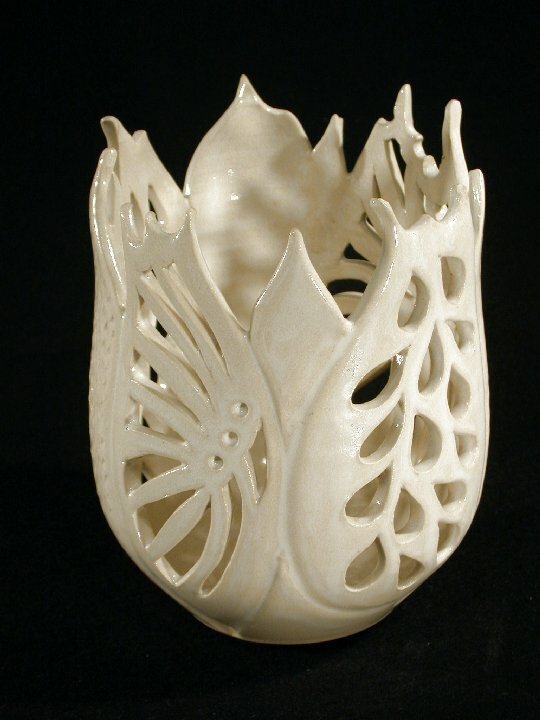 It is hand thrown on a potters wheel using high fire stoneware then carefully cut to produce the intricate patterns that grace this piece. Stoneware pottery is vary durable and will give the owner many years of satisfaction. Height: 6.5 inches. Colors: White (shown here), aqua blue, sea green or lavender. I suggest a small votive candle holder for easy removal of spent candle wax. 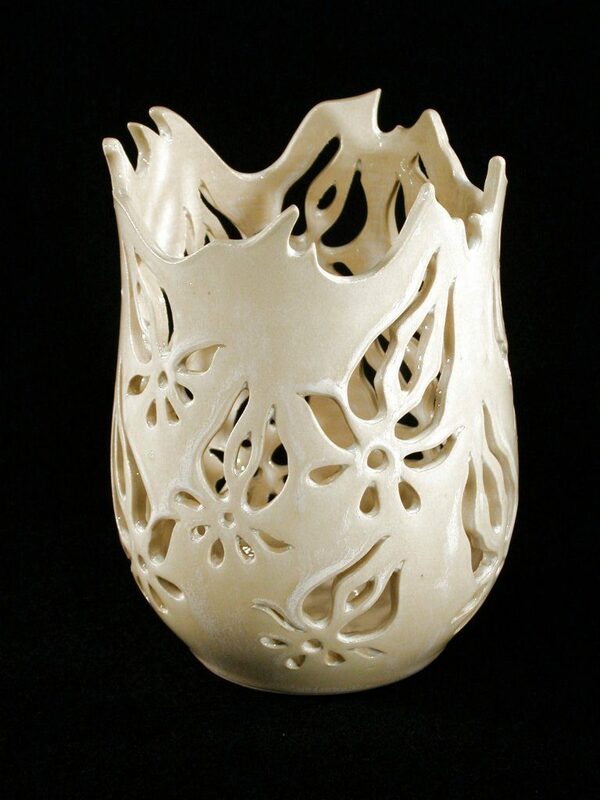 Living Free incised candle lantern with sculpted rim.